Something very exciting is happening at our school. We are getting a huge shade area over the basketball courts. It was so exciting to watch they guys put it up. Miss E and Mrs Z took us out to watch them put the sail up. While we were watching them, we also looked at the notice boards and learned a few new words like hazardous. We can't wait to have our first assembly under the shade and we think we might be able to play there on rainy days. This week we looked at our individual results for reading, writing and maths. We used this to set learning goals for the year. 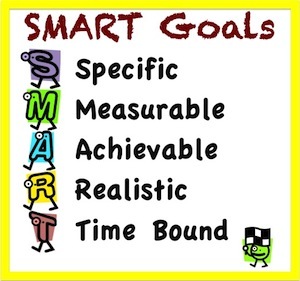 Miss T helped us to set SMART goals. Then we looked at our next steps to achieve our goals. We are all quite excited to achieve our goals! In art we are learning to use line and colour to create effect. 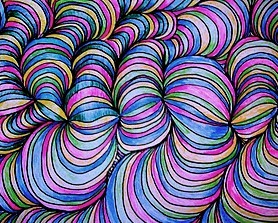 Here is some of the art we have done. Eventually we will come up with some way more creative blog post titles... Right now we are just trying to get caught up! So much learning has been happening in the EZ classroom. Our statistics investigations are starting to really take off. Mrs Z is going to take a look at them over the weekend and see which groups are going to be able to continue and present them to our principal and the board. We could really make a change to our school learning environment! In our writing we have been writing autobiographies. We have started to do this by setting the scene describing what we can see and hear. Miss E has been really excited by some of the descriptions we have written. Her favourite sentence said... "The only thing I could hear was happiness." Wooowww weee isn't that awesome!! 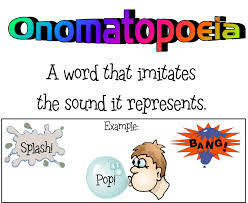 As part of our sound descriptions we have looked at onomatopoeia. We had heaps of fun adding these words to our writing. Not only have we been learning about statistics, multiplication, onomatopoeia, and other reading, writing, and maths things, it has ALSO been Niuean week here at our school. We have had heaps of fun learning about our Niuean heritage. There are about 4 of us that have Niuean in us, and we love that our school values us and our culture. Fakalofa lahi atu! As part of our sustainability inquiry learning, we have been looking at how to sustain our culture. This is especially hard when you come from one country and move to another. About half of us weren't born here in New Zealand so it is really important to us that we learn how we can sustain our culture while we are here in a completely different culture! We walked from school to the festival, and enjoyed watching several schools performing their cultural dances. Most of the dances we saw were from India, but we also saw Korean, Filipino, African, Chinese, Punjabi, Middle Eastern, Maori, and Fijian. Next year we hope to go on the Friday so that we can see some of the Pasifika cultures. We have surely enjoyed our week, and we are looking forward to the learning we will do next week. Until next week - Keep it EZ!! 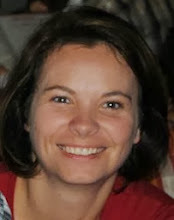 Wow, we have been sooo busy learning, we almost forgot we had a blog. During the last week of the February we all went to school camp in Orewa. A gorgeous beach spot north of Auckland. We spent most of our time at MERC (Marine Education and Resource Centre) at Long Bay. We learnt several new skills, including surfing, body boarding, abseiling, and some beginner life saving skills. Take a look at some of our photos from camp. We really enjoyed ourselves, but came back super tired!! We found out something very cool this week. Miss E, and Mrs Z were both born in the year of the ox! At school this week we have celebrated "Chinese Week". We have looked at the Chinese culture, learnt how to count to ten in Madarin, and also learnt a really fun song to help us. Check it out here. This week we started working in our learning journal books. Miss E. set up our books to have only one at a time! Wow that makes it easier to look after than three or four! The first thing she did was break it up into sections, and she taped in our Flippy Uppy Thing. This is where we are going to write our current learning goals. It's really cool, because it flips up and shows us all the time what we are concentrating on. Only half of us have our goals just at the moment, the rest of us work out ours on Monday, just before we go to camp. Take a look at what they look like in our photos. Now we will be reminded of our next steps every time we go to write! Maths has been great this week. We have put all our learning about data, tally's, and bar graphs to real life use! We took all our data from our maths tests with Mrs. Z. and created a display. Here are some of our awesome posters showing our current learning. From this we have made a goal to work on our basic facts knowledge. Mrs Z. has helped us by setting up a progress chart for us to help practice our learning. We each have our names on an ice block stick and when we get 100% on that test we get a sticker on our temperature gauge and we also get to move our stick into the next pocket. We are heading to camp next week and we are all very excited! We have been learning about some of the activities we will be doing, and will send an update after we get back! Miss E. Mrs Z. and the year 6 learners!